In 2015, she played the title role in Disney’s live-action feature Cinderella to wide acclaim. Now, Lily James stars as the title character's love interest in Columbia Pictures’ U.S. No.1 box-office hit Baby Driver (in Philippine cinemas August 02). 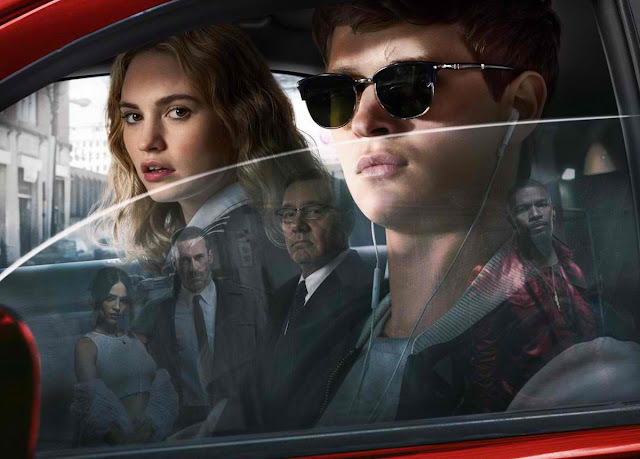 In the film, a talented, young getaway driver named Baby (Ansel Elgort) relies on the beat of his personal soundtrack to be the best in the game. When he meets Debora (James), the girl of his dreams, Baby sees a chance to ditch his criminal life and make a clean getaway. But after being coerced into working for a crime boss (Kevin Spacey), he must face the music when a doomed heist threatens his life, love and freedom. Who could bring to life Debora, the kind-eyed, friendly waitress who gives Baby hope that his life could mean something more? Writer-director Edgar Wright found her in British actress Lily James. Baby Driver stars Ansel Elgort, Kevin Spacey, Lily James, Jon Bernthal, Eiza Gonzalez with Jon Hamm and Jamie Foxx. Baby Driver is distributed by Columbia Pictures, local office of Sony Pictures Releasing International. FIND OUT How You Can Master Your Habits And Reprogram YOUR Subconscious Mind To Get Any Result You Want In Your Personal Growth and Success!